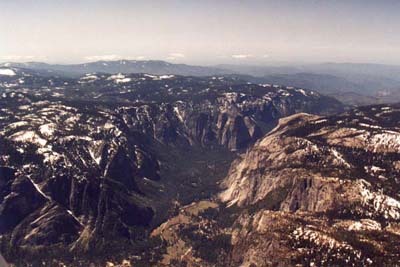 Looking Westward down Yosemite Valley. The valley runs pretty much East-West. 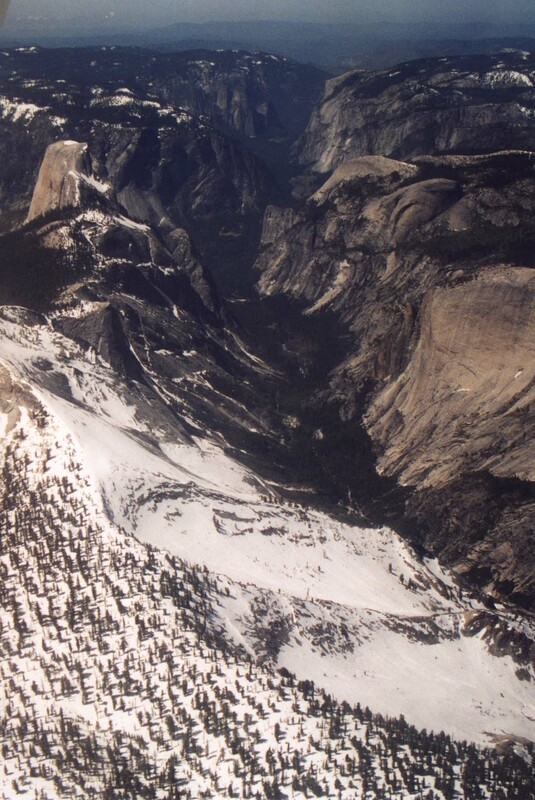 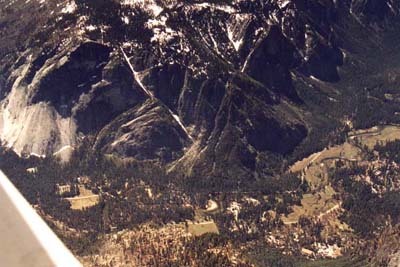 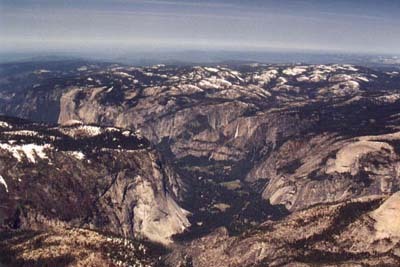 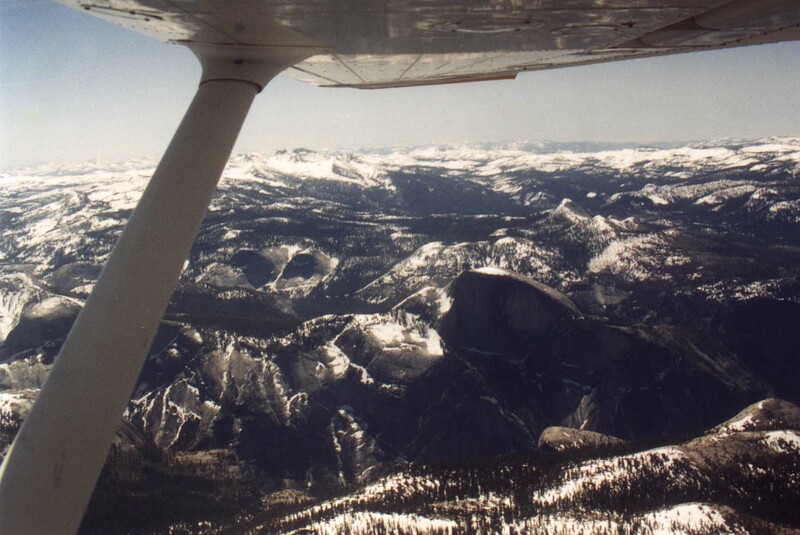 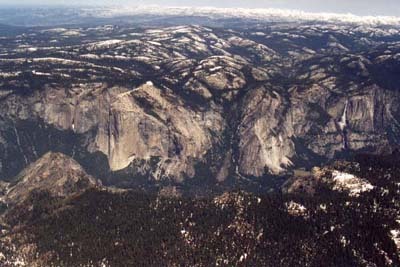 A view from East of Half Dome looking North over the valley. Yosemite Falls is on the right. 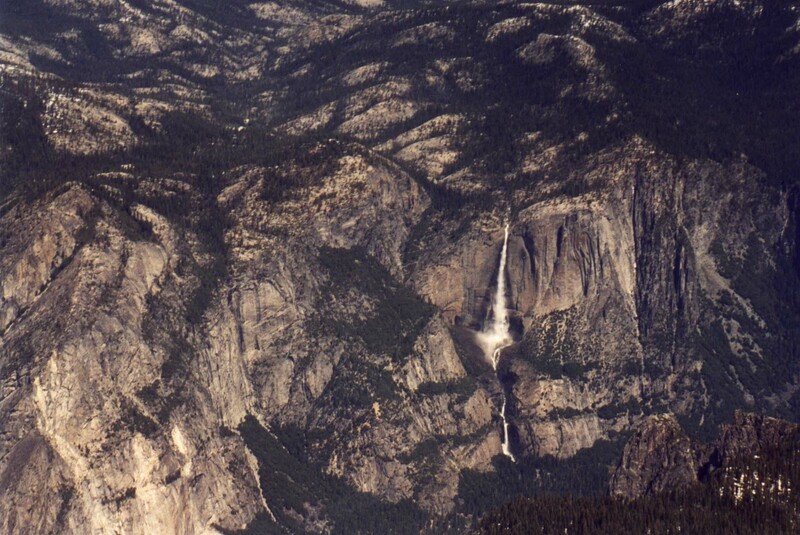 A zoom in shot of Yosemite Falls. Looking Westward down the valley. I don't recall exactly where this is; It is towards the Eastern end of the valley. 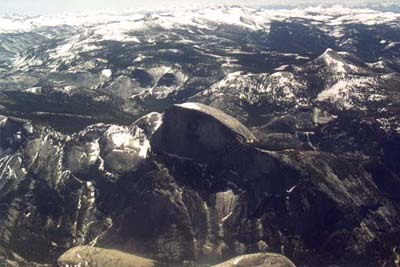 A closer in shot of Half Dome.